Kanye West Biography Kanye Omari West was born June 8 1977. From the NYC, NY. A rapper, singer, and producer. 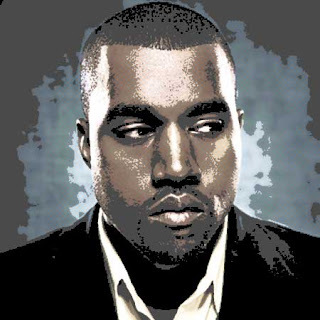 Kanye originated his fame as a music producer for Roc-A-Fella Records. His first most appreciated work was on Jay-Z's album The Blueprint,as well as hits he did for artist such as Alicia Keys, Janet Jackson and Ludacris. Kanyes original style of music envolved creating songs produced using vocal samples from soul songs mixed with his own drums and instruments. He soon his music up another notch by introducing expressive influences from '70s R&B, baroque pop, electronica, synth-pop, trip hop, arena rock, folk, alternative, and classical music. Kanyes debute album, The College Dropout in 2004. The second album Kanye dropped in between a few a mixtapes was Late Registration in 2005, third album... Graduation in 2007. The fourth album Kanye released was 808s & Heartbreak in 2008, and his fifth album My Beautiful Dark Twisted Fantasy in 2010. One of his best works yet is known to be his collaborative album, with rap artist Jay Z, called watch the trhone August 8 2011, Their first collaborative album. All of his albums went on to go platinum and attain numerous award. As of 2011, Kanye has reached an astounding 14 total grammy award.